Your roof does more than protecting your home from the weather. It also greatly affects your home’s curb appeal. This is why choosing the right roof that satisfies your style and functionality needs is important. Kroll Construction, one of the leading roofing contractors in Michigan, is a certified Owens Corning® Preferred Contractor. We aim to make it easier for homeowners to choose the roof that they need. 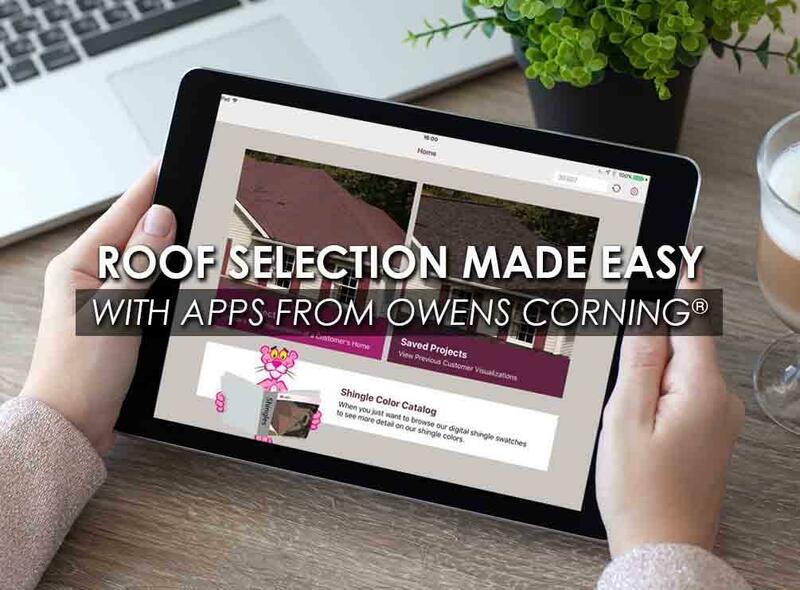 Here are some mobile apps offered by Owens Corning that make this possible. The exclusive Design EyeQ® SnapShot™ helps homeowners visualize how different shingles would look on their home. You can compare up to three different shingles at a time. The app also features a Shingle Color Catalog. With full-screen shingle swatches, you don’t have to look at multiple sample boards. The app is available for the Apple® iPad® and features an easily operated interface. For some homeowners, it can be increasingly challenging to select a color for their roof. With the wide range of hues and tints available, it’s hard to choose just one. The Roofing Color Compass Quiz is a personality quiz that assesses your color preferences. This helps you choose a Owens Corning TruDefinition® Duration® Designer Colors Collection color shingle that matches your personality. Let your personality be reflected in your roofing in Michigan. Your shingles aren’t the only components of your roof. To effectively protect your home, your roof is composed of different components and layers. This app explains each layer, helping you understand of your roofing system better. This can also give you a clearer understanding of your estimate and what exactly are you paying for. Kroll Construction is one of the leading roofing companies in Michigan. We can provide high-quality products and services for your home. For your next roof replacement, call us at (888) 338-6340. You can also request a quote by filling out our contact form.